Marc Pierce: is an avid big game and bird hunter, freshwater and saltwater fly-fisherman, bird watcher, backpacker and conservationist. Originally from Aurora, Illinois, he attended Joliet Junior College and Montana State University. He is the founder and owner of Big Sky Carvers in Manhattan, Montana. Marc Pierce and his father uprooted themselves from the Midwest and headed to Montana when the opportunity arose to start a new business allowing them to pursue a mutual dream. Combining their love of collecting and fascination with all things wild, Big Sky Carvers was founded in 1980. For over a decade, ornamental decoys were Big Sky’s bread and butter. In 1991, they took a leap of faith with the addition of Meissenburg Designs, a collection of traditional and humorous signs for the home and lodge. The success of this change led to further additions, and today the company has expanded to include a variety of designs sure to be enjoyed by everyone. 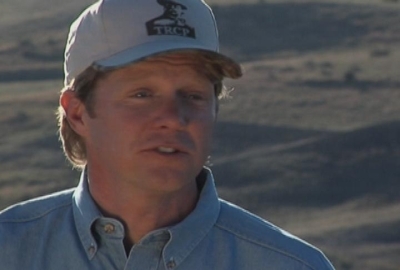 Marc has hosted both Ducks Unlimited Television and TRCP’s Escape to the Wild on the VERSUS network. Since 1989 he has been an active participant and volunteer for Ducks Unlimited, receiving many honors for his work. Marc is a Ducks Unlimited Sponsor in Perpetuity, a life member of the National Rifle Association and a Sponsor Member of the Rocky Mountain Elk Foundation, the National Wild Turkey Federation, the Ruffed Grouse Society, Pheasants Forever and Trout Unlimited.